I bought this breadbox many years ago for under 50 cents, I have another bigger one that is on the a radiator upstairs which I use occasionally to put blankets in to warm them up. 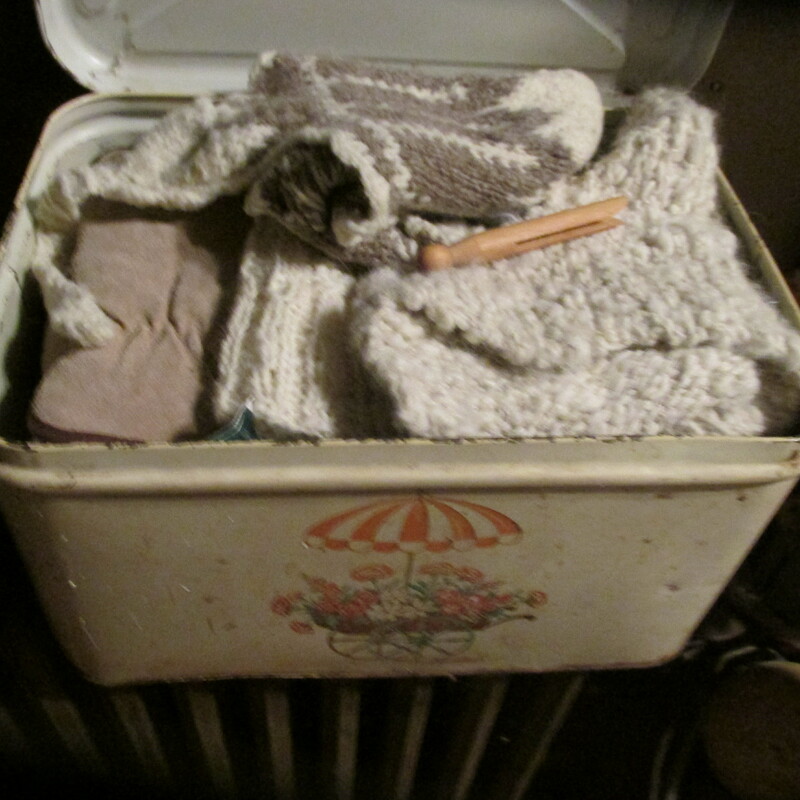 This one in the kitchen is where I keep my gloves, mittens and hats all winter long. If they are wet I dry them on the radiator and put them back into the box. There are a few wonderful things about it, I always know where my hats and mittens are and most likely they will be warm when I need them. I had a wonderful time in this class. 6 people came including my friend Patti. We all made such different sheep. Some made pins and some of us made ornaments. I have thought up some wonderful ideas for the Easter season. 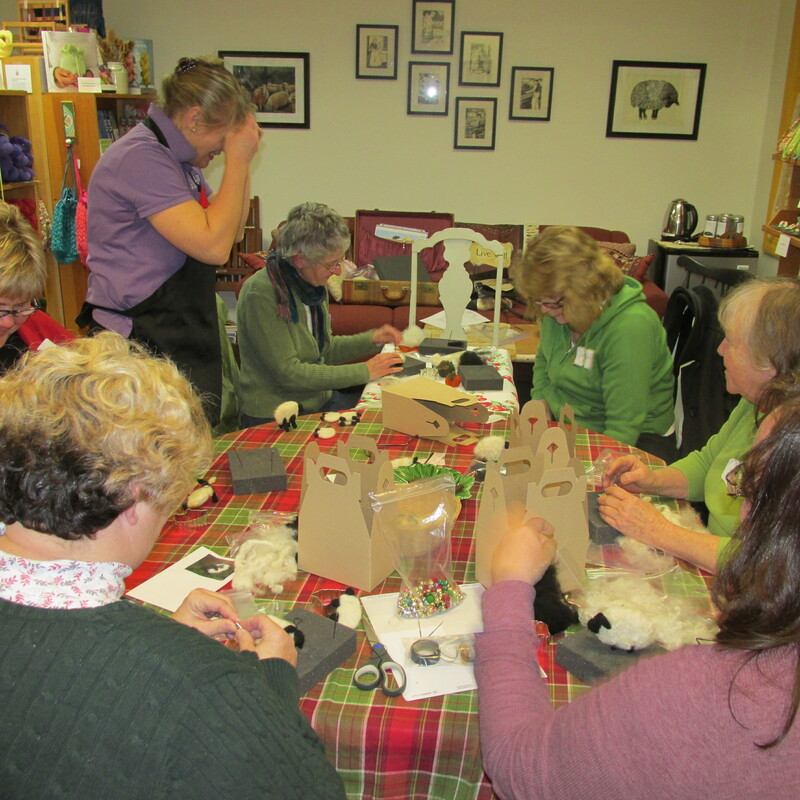 This is what is happening at next weeks class at Sheep and Shawl. 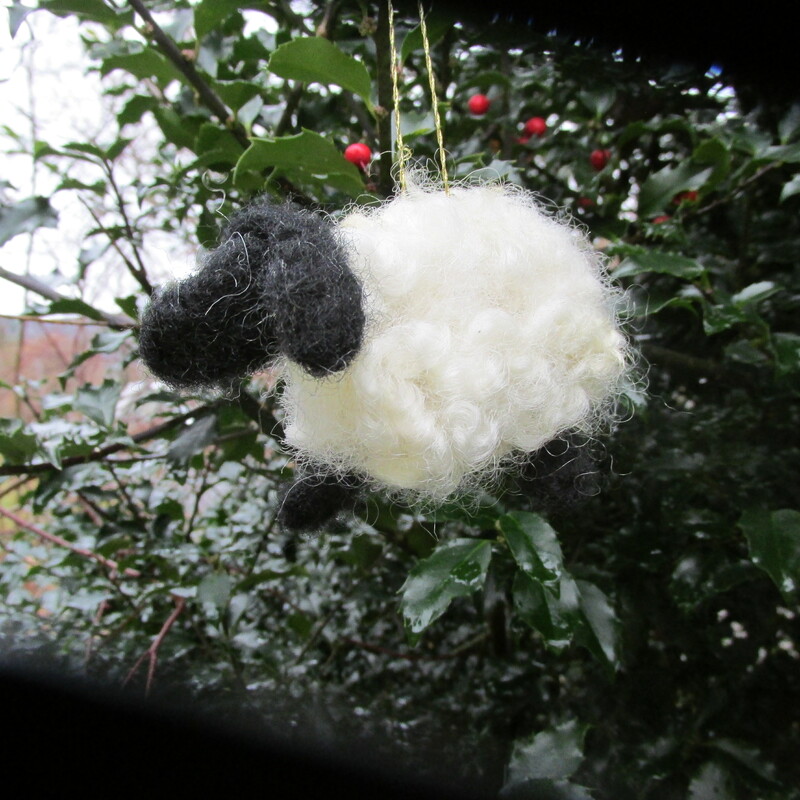 Here is my sheep hanging on the Holly bush near my front walk. Both returned to Dr. Connor for a recheck. Hazel is still sneezing so I wanted to make sure his lungs were clear. They are so cute together. Of course they were the hit of the place. 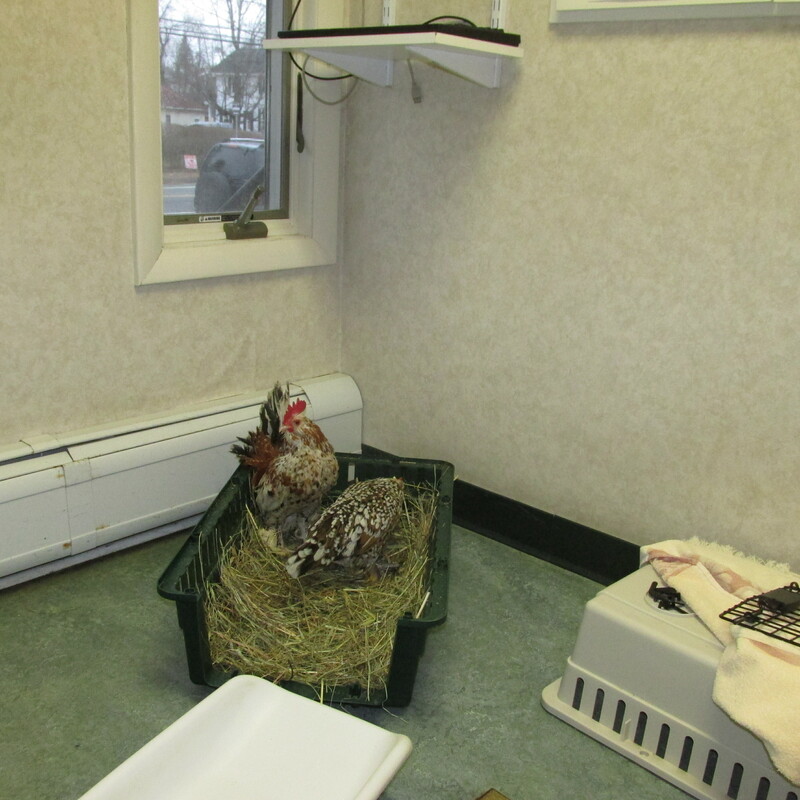 Hazel started crowing soon after he entered the exam room. WHen he was put on the table Mrs. Brown started talking and he answered. They do not want to be separated. Its endearing. Hazel other lung is having problems, while the other antibiotic worked it took a long time to and now he is on a 1/2 pill of a stronger antibiotic. I will call in a weeks time to let them know how he is doing, meanwhile I will watch Mrs. Brown to make sure her symptoms don’t come back. On arrival home they were greeted with oatmeal and blueberries. They are happy to be home. Its sleeting as I write this and Vermont Public Radio said we could get 4-6 inches of snow overnight. It won’t last as its suppose to be warm the next few days. Glad that I don’t have to go out tonight. 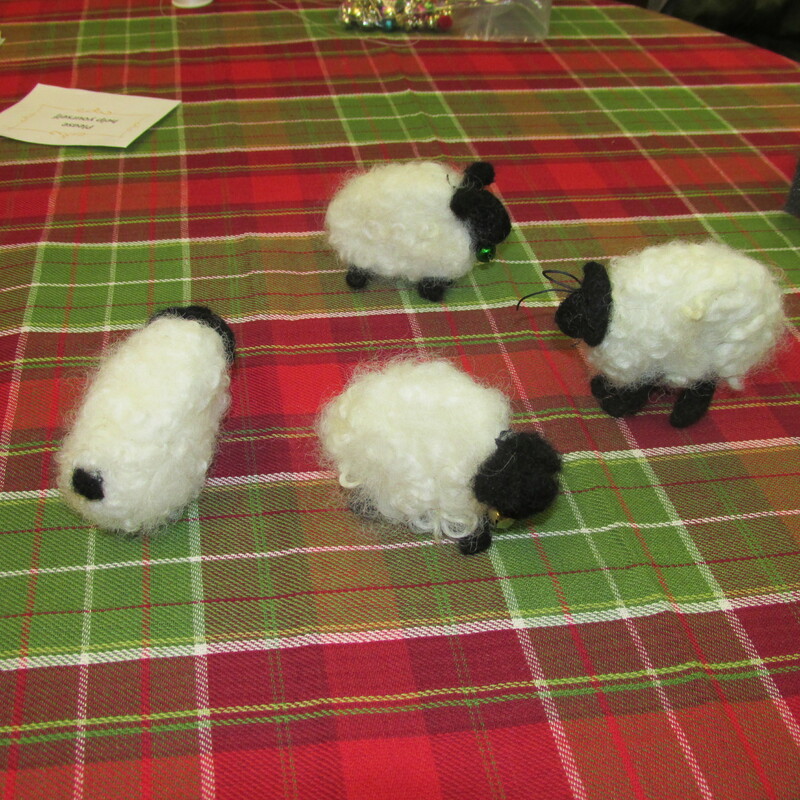 I love those sheep, could you give instructions of how to make them on your blog? Its done with a cookie cutter!!!!! 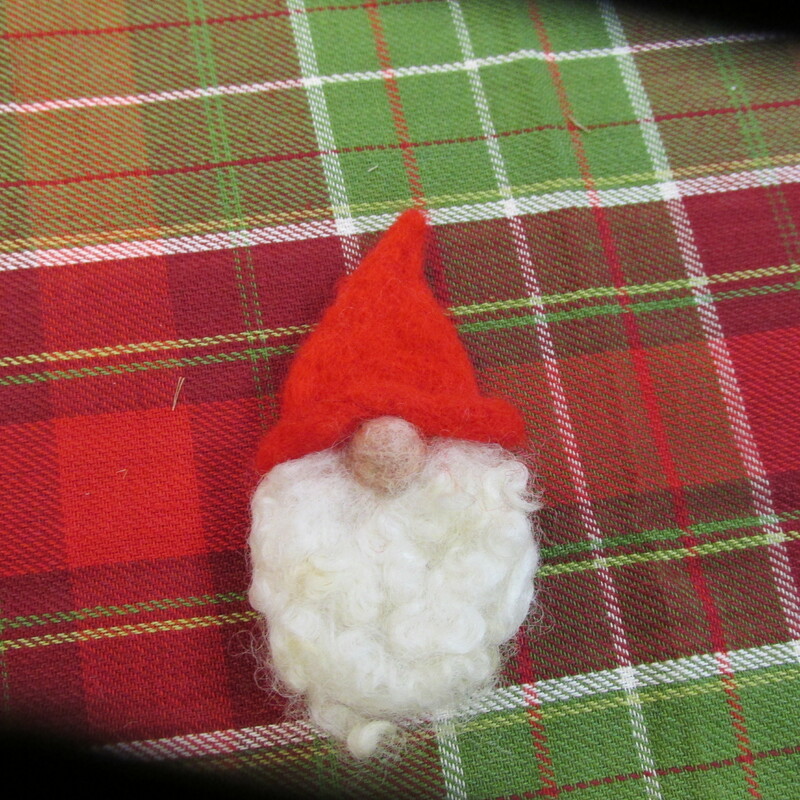 You fill the cookie cutter up with roving or well pulled apart wool and needle felt around around the outside(this is done on a foam block. I will take a video of what I am doing and send it to you tomorrow. They are easy to make and only take 15 min or so to make. They are expensive to buy. 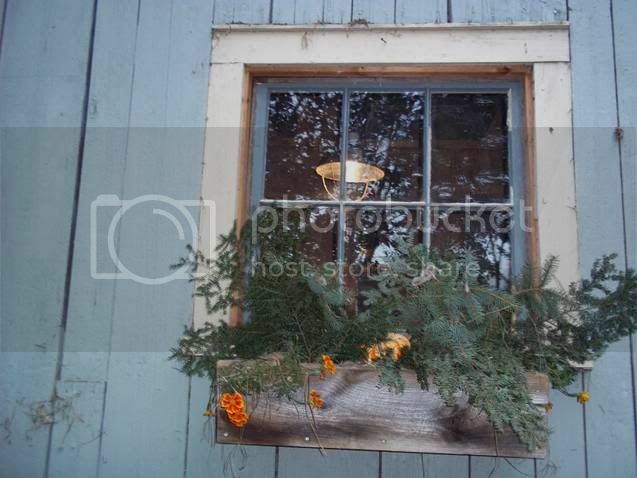 & MRS. BROWN | Whispering Pines Farm is kinda boring.